The Iberian peninsula sports a coastline measuring over 2000 miles long with roughly half in the Mediterranean Sea and half in the Atlantic Ocean. The countries of Spain and Portugal comprise the bulk of the peninsula with two smaller enclaves, Andorra (landlocked) and Gibraltar (British waterfront colony), as well. The cuisines of the peninsula are, no pun intended, all over the map. Culinary influences on the peninsula run deep and wide. Very wide. With all that coastline, seafood is an integral part of many a daily meal. For this platter we are choosing to go a “saffron tinged” route and, mostly, keep things simple. 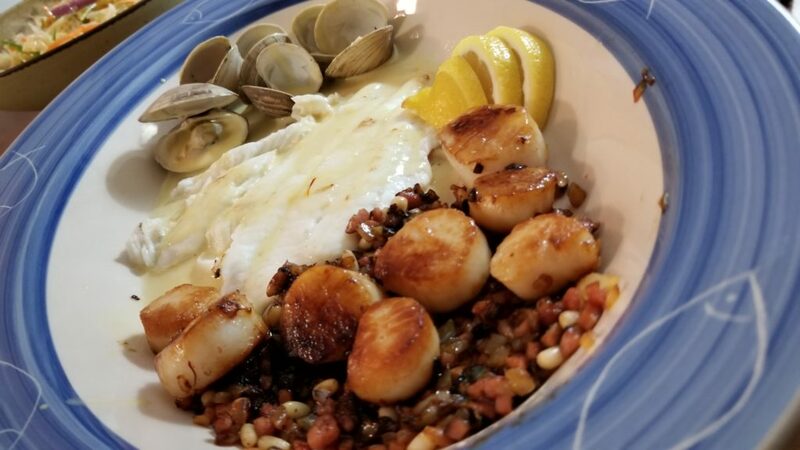 For the flesh we have Seared Saffron Sea Scallops, Broiled Flounder and Steamed Little Neck Clams, both, in a Saffron Cream Sauce. Place the pinch of Saffron in the Vermouth and let soak for 10-15 minutes. Heat the oil (medium heat) in your skillet and saute the shallots for 2-3 minutes. Add in the vermouth/saffron mixture along with the thyme and chives. Bring to a low boil and cook until the skillet is reduced to almost dry, about 4-5 minutes. Add the chicken stock/fish sauce mixture and return to a boil cooking until reduced by about half. This will take roughly 6-8 minutes. When the contents of the pan are sufficiently reduced, pour them through a tight strainer into a bowl. You are looking to capture all of the solids in the strainer, leaving only liquids. Pour the liquids back into the pan. Add the cream to the liquids in the pan, bringing the contents to a slow boil, stirring frequently, until you reach the thickness/consistency you desire. Remove from the heat and set aside for plating. In a heavy cast iron skillet bring your oil to medium high heat. When the oil is just hot, add the the scallops. Cook for 2-3 minutes or until they begin to loosen from the pan. Be careful not to either attempt removing too soon or burning the little fellows. When the scallops are seared on one side, remove them from the skillet entirely. Next, in the same skillet, saute the onion, ham and pine nuts for a few minutes. Stir in the vermouth and add the scallops back, unseared side down. 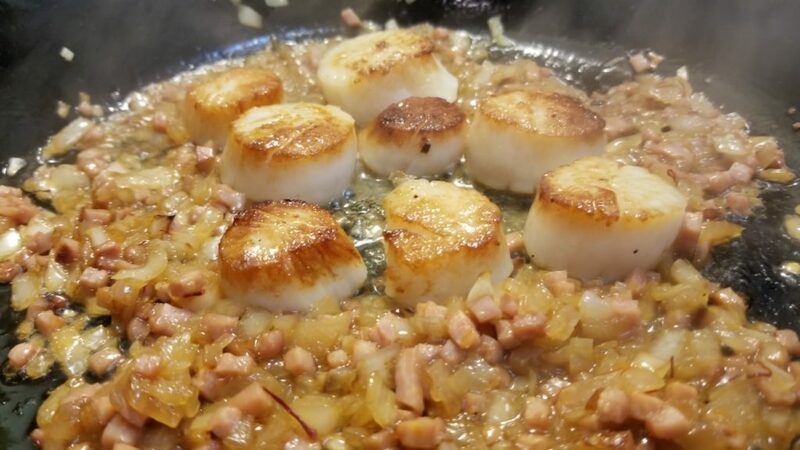 Be sure to have the scallops make contact with the skillet and not be setting on top of the onion/ham/nut mixture. Cook the vermouth off (1-2 minutes) and remove the skillet from the burner for plating. Smear the butter on the side of the flounder that will be up, facing the broiler. Heat an oven proof pan on medium heat, place the flounder in the pan and place the pan in in the oven, under the broiler, on high. Cook for 3-4 minutes or until the flounder begins to brown up a little. Careful not to over cook the fish. 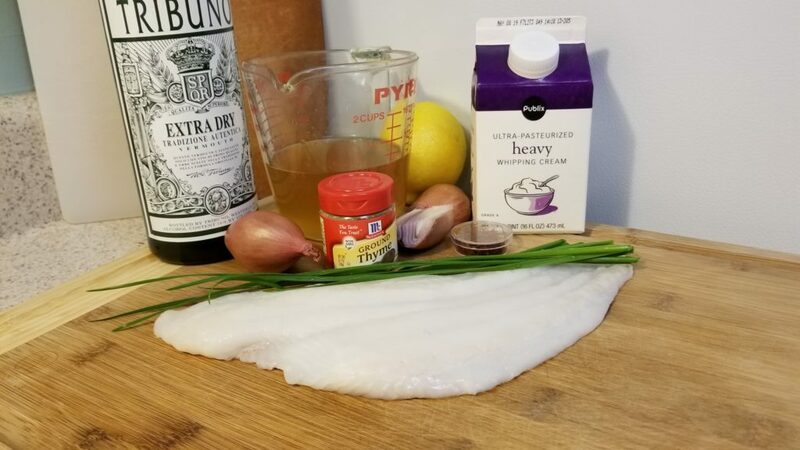 Flounder is rather delicate. Remove from oven and set aside for plating. 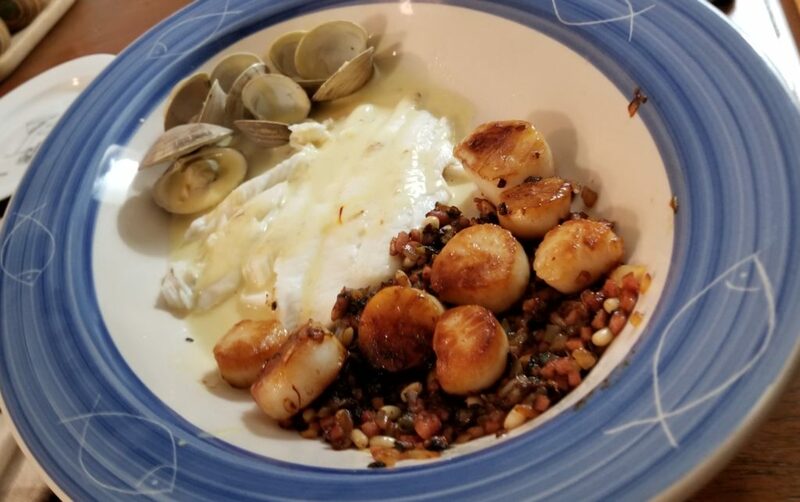 *this can all be done at the same time you are finishing off the scallops, as long as you feel you can juggle two things at one time…. The clams are so simple. Place clams and vermouth in a small pan. Bring the vermouth to a low boil and steam the clams for 4-6 minutes of until they have all opened. Done. Let’s put it all together. 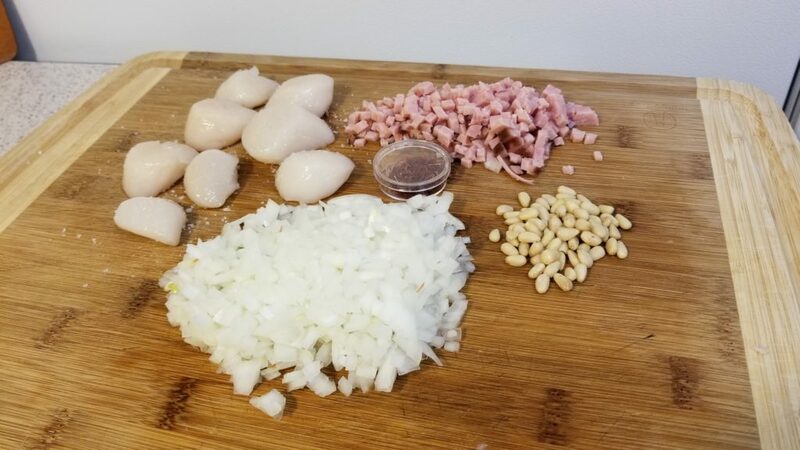 With the clams anchoring one end of the platter, place the flounder in the middle, cover both in a generous amount of the saffron cream sauce and set the scallops on a pile of the onion/ham/pine nut mixture on the other end. 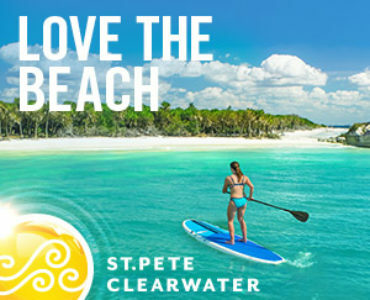 Should look something like the picture below. Grab a lemon, a nice glass of wine and tuck right in. We paired this up with a Coleslaw and Cumin-Lime Vinaigrette from the creative mind of Bobby Flay. Worked well. The portions in the recipes are for a meal to feed 2 adults. Each one scales nicely so you can easily feed more people as desired.